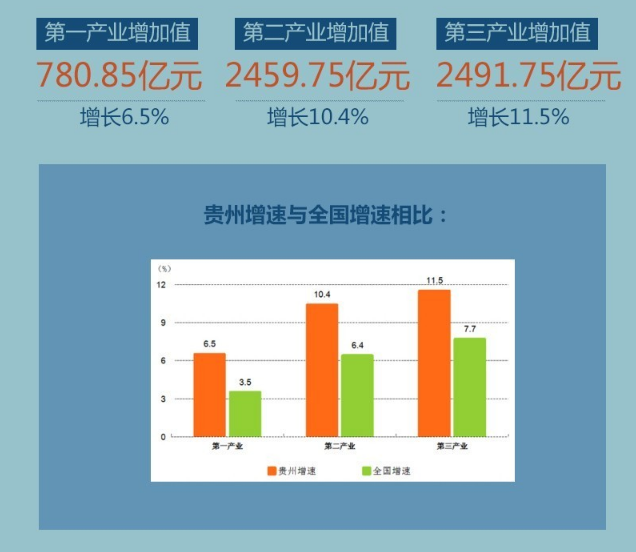 In the recent GDP list of 25 provinces, Guizhou is one of two provinces that economic growth is more than 10 percent. 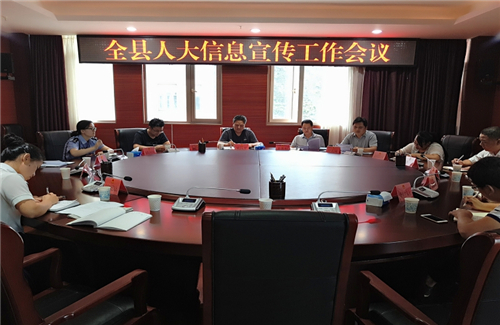 For the last 14 years, Guizhou province has kept a rapid development rate, optimized its economic structure, improved its people’s well-being. 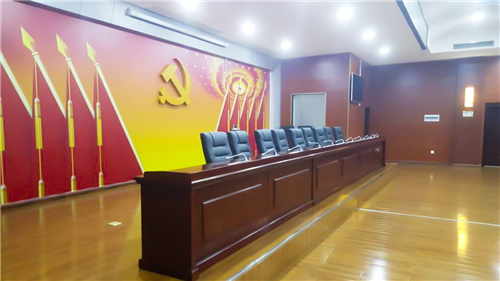 The rapid development is the result of joint effort of Guizhou people and people’s congress at all levels. 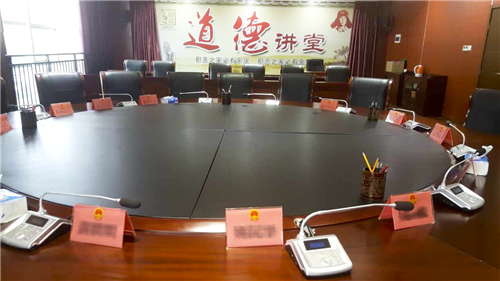 In order to improve their working efficiency, the people’s congress standing committee of Yuping county has reached out the demands for its conference system that will installed in the conference hall. A. 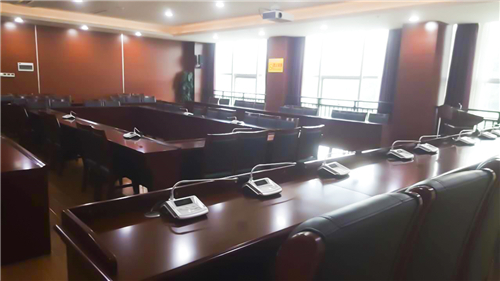 There are several conference halls with 208 seats in the building, which requires daisy chaining connection, stable data transmittion, easy to operate, excellent sound quality. 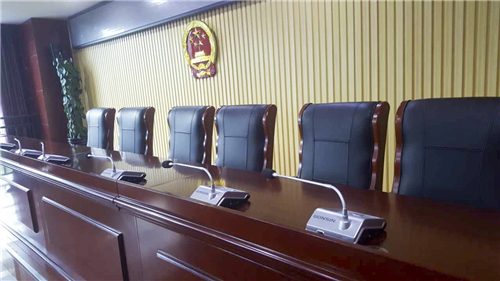 Besides the chairman and vice chairman, 4 delegate can talk at the same time. With the approval from the chairman host, the micorphone enters the speak mode. Speker can turn off the microphone after speaking. 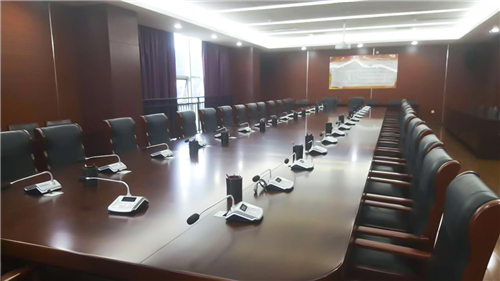 B． Chairman, vice-chairman unit can override or mute the delegate units and can be activated at any time. 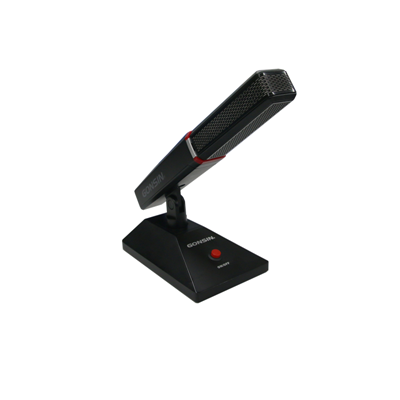 Moreover， it comes with more than 3 speaking modes. 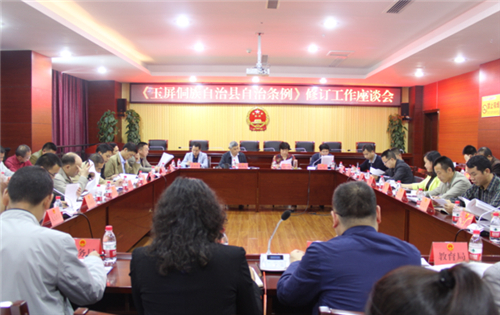 A．The voting process complies with the official Chinese voting Laws and regulation. B． Voting results will automatically counted by software and displayed on the big screen. C．Voting options: Yes, No, Abstain. First keypress voting or Final keypress voting is allowed. D． Conference unit will indicate the voting status on the LCD. E． Voting result will be saved as files automatically, supports resutl review or printing. C. Unregistered participant is not allowed to speak, vote ant etc. D． Support SD/HD auto tracking camera. 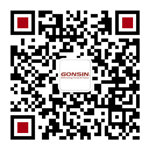 According to the demands, GONSIN has provided it with 4200 series desktop digital conference discussion system. 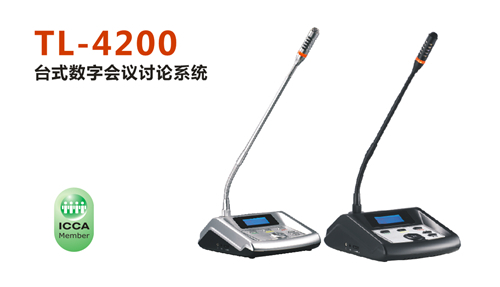 GONSIN 4200 desktop digital conference system not only meets the basic conference demand, but also comes with multiple functions. 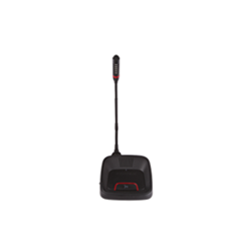 TL-4200 basic discussion unit has the video camera tracking function, which could be activated automatically when participants use TL-4200 to speak. As participants use TL-4200 to speak, that function could be activated automatically; the dome camera could recognize the picture information, capture the speaker’s image and transmit the image signal to display equipments; by the extended function, it comes with the corresponding attendance registration, voting, election, evaluation and simultaneous interpretation function; the system has the voice-activated function; with VOX, the microphones would be activated as participants speak, and the sensitivity of the voice-activated is adjustable. 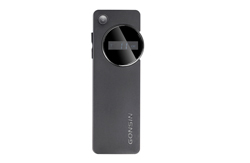 It is convenient for the normal users, meanwhile, it also provides convenience for the visually impaired people. It has two kinds of appearance color, black or silver. 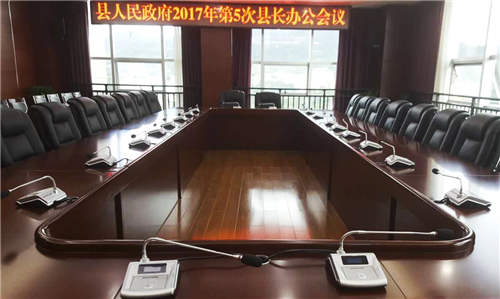 Since the installation, the confernece system has been applied to various conferences and gained consistent recognization from users. 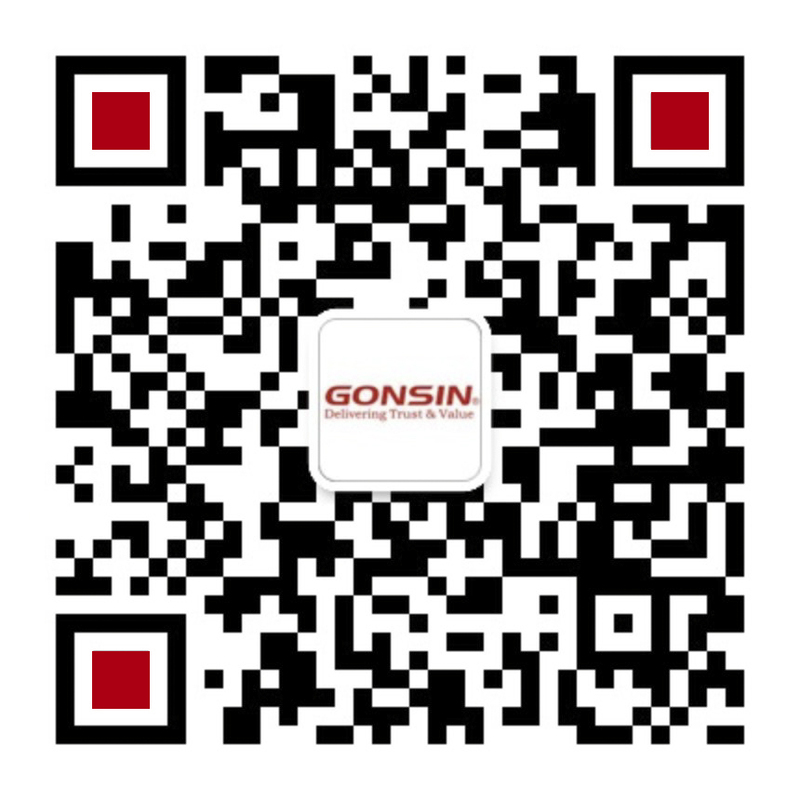 GONSIN team has offered strong technical support for them and strengthen our reputation in users’ minds.